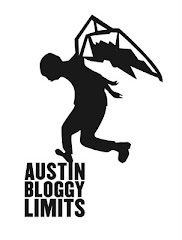 For those of you not in Austin you should know that ACL is Austin speak for the Austin City Limits Festival not to be confused with Austin City Limits, which is what people call the show on PBS. Anyway, so today is schedule launch day, a very exciting day in the city because now we get to start planning. You can decide which stage you want to commit to or make a plan for which day you want to attend. That's right, today is also the day to purchase passes for individual days at a cost of $80/day. This will be my first August in Austin so I have never done ACL fest in the past. To be honest I am not very excited about cooking in the 100 degree heat for days on end to catch a 45 minute indie rock set. I'm thinking I may buy a single day pass but most likely I will just rock it like I do SXSW, which is to say, do all the free stuff that's outside the official event. Last year there were a lot of ACL after-parties downtown and to me that's where it's really at. I'd much rather see one band in one small venue than 15 bands at one HUGE venue. Also, they usually do a few taping for Austin City Limits the show featuring some of the biggest/up-and-coming bands from ACL festival, in August. But check out the schedule and let me know what would be your biggest conflicts. For me it's Jamie Lidell VS. Jose Gonzalez. But it looks like people will also have to choose either the Raconteurs or Gnarls Barkley. That's the problem with so many bands spread across 5 stages over the course of three days...one of the problems. For my money, I would choose the middle day.